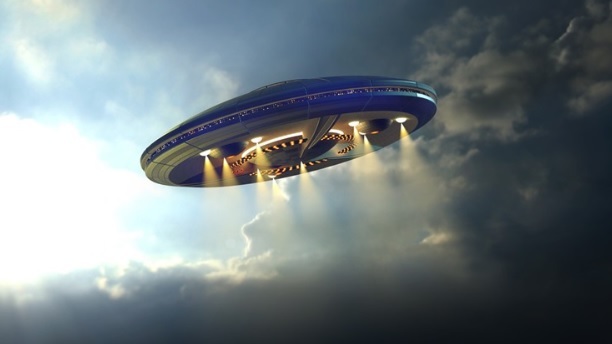 Reports of unidentified flying objects have always been a part of our lives. For thousands of years, people have described seeing strange flying structures of light, clouds, even fire. But as our cultural fascination grew with extraterrestrial life in the 20th century, so did the number of UFO sightings. Once scientists, researchers and consciousness platforms like Portal To Ascension embarked on their exploration of different UFO incidents many important facts and secrets were revealed to the world. These consciousness societies and platforms aim to create a new reality and help humans create a paradigm based on the principles of unity, transparency, cosmic consciousness, and full disclosure. The question of if there is life on other planets is enthusiastically debated across the world. A list of inexplicable UFO sightings around the world has led many to believe in the existence of extraterrestrial life. There are many cynics who continuously try to explain these events, but eyewitnesses and UFO researchers couldn’t be more certain that what they have witnessed are UFO sightings. A mysterious incident took place in 1990, six weeks before Germany was set to become a united nation over the Greifswald power plant. According to reports, seven green lights appeared in a line, hovering above the area which was visible for about 30 minutes; some believed this to be a protest against the upcoming reunification. However, there was no proof of anyone taking such actions, and many viewers believe it was due to extraterrestrials. This incident has become known as "the Greifswald Lights." In November 2006, when flight 446 was getting ready to fly to North Carolina from Chicago’s O’Hare International Airport, a United Airlines employee on the tarmac noticed a dark grey metallic craft hovering over gate C17. A total of twelve United Airlines employees and a few witnesses outside the airport spotted the saucer-shaped craft around 4:15 p.m. The witnesses say it hovered for about 5 minutes before shooting upward where it broke a hole in the clouds, enough that the pilots and mechanics could see the blue sky. However, because the UFO was not seen on radar, the FAA called it a “weather phenomenon” and declined to investigate. Another strange incident that remained etched in all our minds as one of the significant UFO sightings around the world was when the USS Princeton noted an unknown craft on radar 100 miles off the coast of San Diego on November 14, 2004. For two weeks, the crew had been tracking objects which appeared at 80,000 feet and plummeted to hover right above the Pacific Ocean. When two FA-18F fighter jets from the USS Nimitz arrived in the area, they first saw what appeared to be churning boiling water in an oval shape underneath the surface. Then, in a few moments, a white Tic Tac-like object appeared above the water. It had no visible markings to indicate an engine, wings, or windows, and infrared monitors did not reveal any exhaust. Commander David Fravor and Lt. Cmdr. Jim Slaight of Strike Fighter Squadron 41 attempted to intercept the craft, but it accelerated away, reappearing on radar 60 miles away, it was reported that the object moved three times the speed of sound and twice the speed of the fighter jets. In the evening of January 8, 2008, dozens of its residents of the small town Stephenville, Texas and about 100 miles from Dallas viewed something unique in the sky. Citizens reported seeing white lights above Highway 67, first in a single horizontal arc and then in vertical parallel lines. Steve Allen, who was a local pilot, estimated that the strobe lights spanned about a mile long and a half mile wide while traveling about 3,000 miles per hour. No sound was reported. Witnesses believed the event was reminiscent of the Phoenix Lights sightings of 1997. While the U.S. Air Force revealed weeks later that F-16s were flying in the Brownwood Military Operating Areas (just southwest of Stephenville), many townspeople didn’t buy that explanation, believing that what they saw was too technologically advanced for current human abilities.